Various organizations that supported the Common Candidate to take joint action to pressurize all parties to support the 19th Amendment. They have decided to organize a march in support of the 19th Amendment. 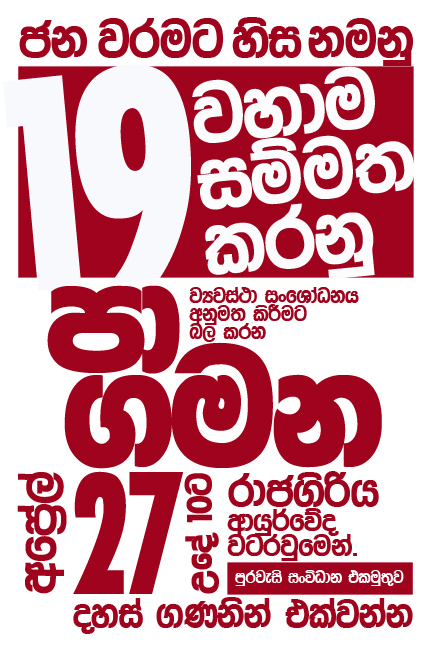 This will be held on Monday, 27th April, the day on which the debate on the 19th Amendment will be held. The organisers invite citizens to gather at 9.30 am. near the N.M. Perera statue at the Ayurveda Junction. Garbage Dump Collapse; Wil This End Continuing Political Apathy? 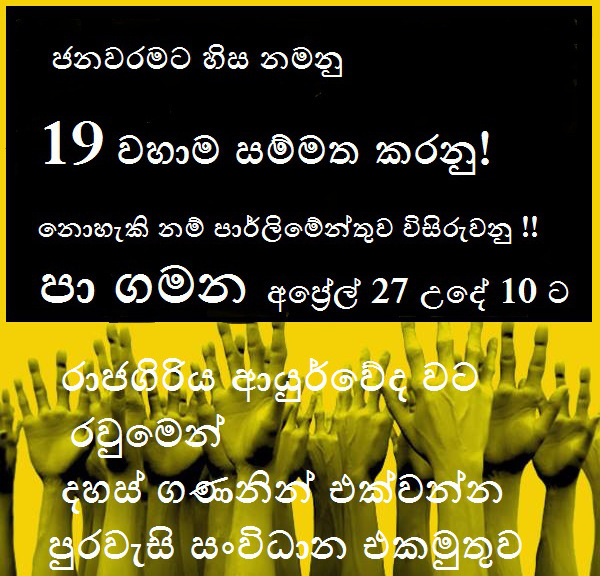 « 19 සම්මත කළ නොහැකි නම් පාර්ලිමේන්තුව විසුරුවනු!